When the taste of Lobongo Lotika and Machher Jhol starts to entice you, the sound of Rabindra Sangeet starts to float in your ears, and you can almost smell the waters of Hooghly: that is when you know that the ‘City of Joy’, Kolkata is calling out to you. For a person traveling to Kolkata from other parts of the country or even the world, Kolkata is a storehouse of various delights. But for someone who is staying in Kolkata, there is always the attraction of heading to weekend getaways from Kolkata. There is always the charm of breaking the monotony of the tram’s noise and satiate the wanderlust, even if for a weekend. For most of us, Kolkata is the hub of culture and heritage synonymous to Bengal, a Mecca for the Bengalis. But, those who have explored the heart of Kolkata, know that nature’s bounty adorns this city and places around it in abundance. We have curated for you, a list of popular as well as some offbeat locations for weekend getaways from Kolkata. Every one of these will rejuvenate you, give you the recharge required to handle another week of the mundane routine of life, and will prove to be an excellent choice for a family vacation. 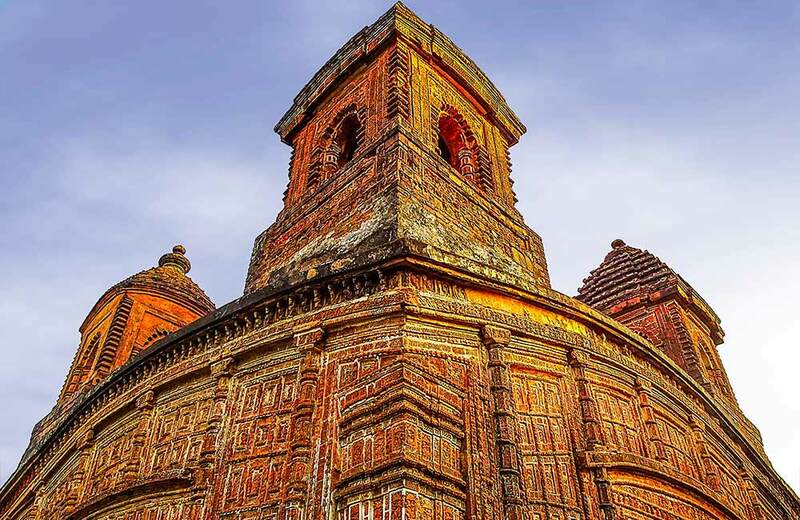 The origin of Bishnupur dates back to the 17th century, to the reigns of the Malla dynasty when it was known as Mallabhum. Known for its Baluchari saree and terracotta temples, it is also home to a number of religious attractions in Kolkata. The Pancha Ratna Temple (Shyam Rai Temple), Jor Bangla Temple, Madan Mohan Temple, and Radhe Shyam Temple have rightly given this town the alternate name of ‘Temple Town’. The Panch Ratna Temple is almost four centuries old. A weekend is a perfect time to visit these temples as it then that they are illuminated with special lights. The place is a haven for the lover of art and craft and you can buy decorative items made of burnt clay and handmade Dashavatar cards from here. Dolmadol Kaman, made of wrought iron and the largest cannon made by the Malla Kings, is another important attraction in Bishnupur. How to reach: You can either take the Howrah express that runs between Bishnupur and Kolkata. Or you can take a taxi which will save your travel time. One of the most popular family weekend getaways from Kolkata, Digha is located in the East Midnapur district at the border with Odisha. Lined with swaying Casuarina trees, the beach embraces you with a sense of calmness. Digha has two parts to it, the old and the new. Old Digha is characterized by ruins while the newer part attracts the tourists through its beaches, and is favored more by families. The hotels here are quite cheap and the seafood lip smacking. The beach shacks offer a variety of seafood delicacies that you won’t find on the streets of Kolkata. Sip on the daab while you let waves kiss your feet! Do not forget to carry back some cashew nuts from the farms here. 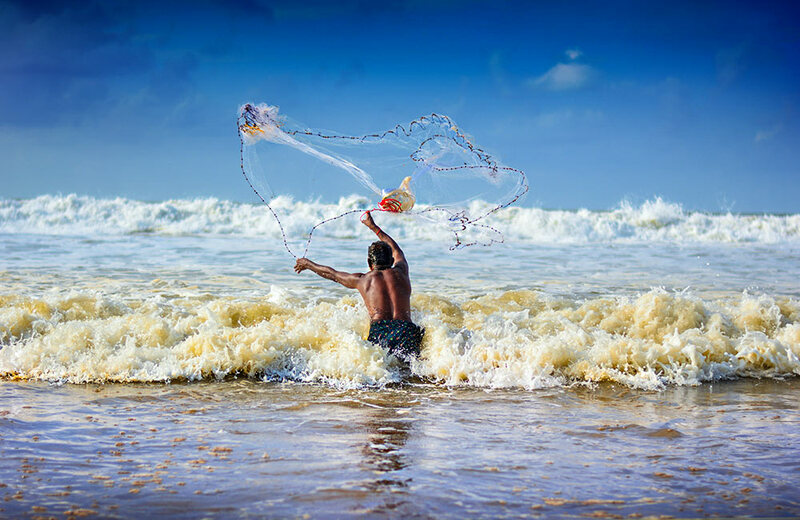 How to reach: A four-hour drive from Kolkata takes you to Digha, and it is also well connected via bus and train. Things to do: Horse riding on the beach, shopping for knick-knacks and souvenirs made from shells, and visit Digha Science Center and Marine Aquarium Research Centre. Sundarbans is synonymous with the majestic Bengal Tiger, which made its way into the famous Hollywood Flick, Life of Pi. Nestled in a periphery of mangrove trees, it is a UNESCO World Heritage Centre. Enjoy the vast expanse of the lush green fauna of the sanctuary while reveling in the pleasant weather. The national park consists of islands, canal, creeks, and waterways. The river island of Sundarbans is also home to the Sajnekhali Bird Sanctuary, housing over 200 bird species such as whimbrels, sandpipers, plovers, herons, and kingfishers. Sagar island of Sunderbans hosts the annual Gangasagar fair in the month of January, during the time when the festival of Makar Sankranti is celebrated. Be amazed at the nesting site of the Olive Ridley turtles at the Kanak islands in Sundarbans during the nesting season that runs between December and March. Sundarbans has a host of activities to partake in and ranks high in the list of popular family weekend getaways from Kolkata. Make sure to enjoy a dugdugi ride here. 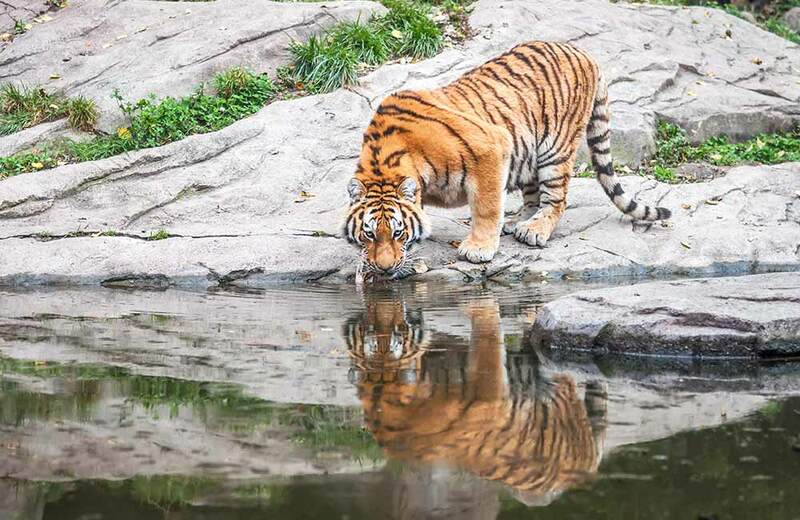 How to reach: Canning is the nearest railway station to Sundarbans Tiger Reserve. There is train connectivity between Sealdah Station in Kolkata and Canning, with the journey spanning a little over one hour to reach. Taking the train offers a convenient mode of travel, especially when going on a family weekend trip. You can also take a cab or drive down yourself. Things to do: Enjoy the flora and fauna, indulge in a boat cruise in the meandering waterways. This beach locale is a fantabulous pick, especially if you plan to take a family weekend vacation with your little ones. The beach is full of seashells and red crabs, enough to keep the kids entertained and busy. Though the place comes under the state of Odisha, it is frequented equally by people from Kolkata as well. Balaramgadi near Chandipur presents you with the confluence of river Budhabalanga or Buribalam with the sea. Low tides at the beach will entice you even more, as the receding waves leave behind a silvery sheen on the sand which is a sight to behold. Weekend getaways are mostly impulsive, and this place with its proximity to Kolkata offers the perfect choice for a quick getaway from Kolkata. Temples, ghats, museums, parks, and gardens, is what make Barrackpore a fabulous family vacation destination. The Indian freedom fighting movement history cannot be read without the mention of Barrackpore. It was here that the famous Sepoy mutiny originated. 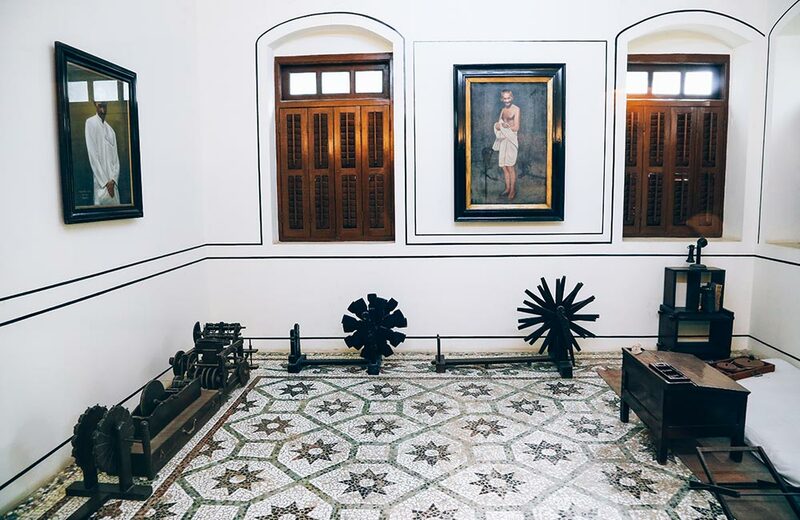 There is Dakshineswar, Gandhi Memorial Museum, Gandhi Ghat, and Rishi Bankim Sangrahashala, for those who wish to dig a little into the Indian history and pay homage to the freedom fighters. Mathura Beel is an excellent spot for a family picnic. How to reach: A cab or a bus would take you there easily. 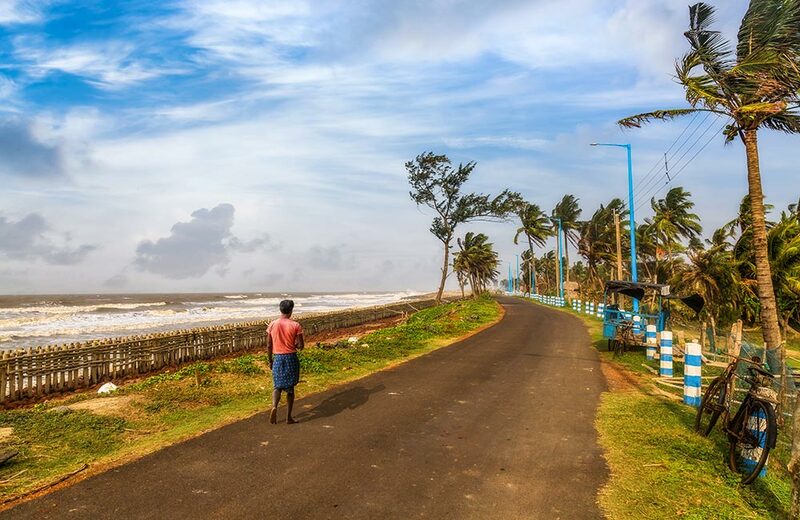 If you are planning a weekend sojourn at the start of monsoons, then Bakkhali Beach is the place to be. Bakkhali is a quiet little beach town down the southern part of West Bengal. A walk on the beach will have you entertained with little Fiddler crabs scuttling away. If you are a wildlife enthusiast then the Crocodile Breeding farm in Bakkhali is sure to make your day. This farm is the only crocodile reservation park in West Bengal and among the few globally. You will be able to witness the several growth stages of the mighty crocodile at this farm. Off the main coast of Bakkhali, is another exotic and independent island, called the Jambu Dwip. The island has a mystery attached to it as it stays submerged for some months in the year. How to reach: You can either drive down to the place from Kolkata which would take you around 3.5 hours. Or you can hitch a bus ride. Namkhana is the nearest train station from Bakkhali. A visit to the Sonajhuri Forest will awaken all your senses, with all the pleasure that the wildlife has to offer. 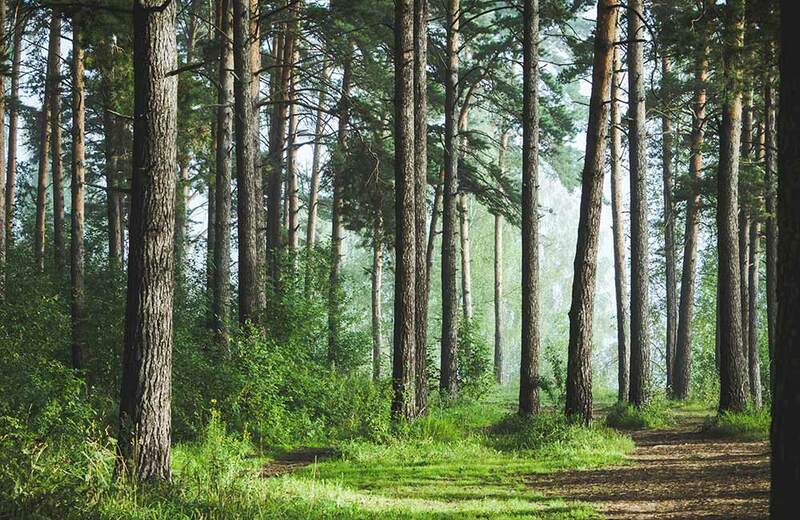 Trek through the dense thicket of trees along the winding path and you will not want for more. This offbeat location offers you a peep into the lifestyle of the Santhali Settlement. Deriving its name from the sonajhuri flowers that adorn the forest floor during winters, this forest is amongst the cleanest ones in India. This is mostly because of its low footfalls as the place is still untapped. How to reach: The nearest stations are Prantik and Bolpur with Bolpur connected Kolkata through luxury bus services. Travel time is between 3-4 hours. The confluence of two rivers, Kangsabati and Kumari, in the district of Bankura, West Bengal, marks the location of this offbeat picnic spot. The landscape is a canvas of forests and the blue expanse of the rivers. 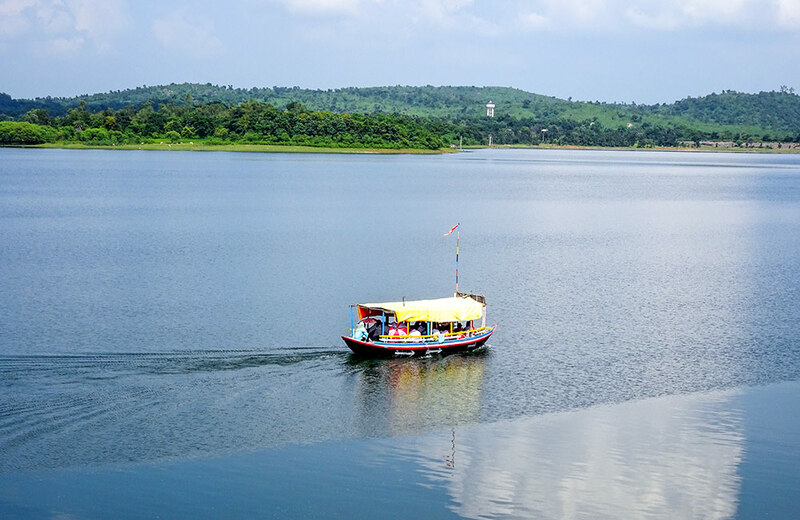 A must-do here is a boat ride on the serene waters. The peace and tranquility of the place seep inside you and all you want to do is just sail away. The Mukutmanipur Dam is among the largest in the country and warrants a trip while you are there. Only a few kilometers away are the Parasnath Hills, a popular Jain worshipping place named after the 23rd Tirthankara of the Jains. This place is a perfect blend of architectural grandeur against the backdrop of the gorgeous landscape. How to reach: Bankura Railway station is the closest to Mukutmanipur and is about 55 km away. Road connectivity to the place is excellent and a taxi ride from Kolkata would take approximately 4 hours. Some of the other destinations that can be explored on a weekend are Tajpur, Gopalpur, Shankarpur, Talasari Beach, and Mandarmani. 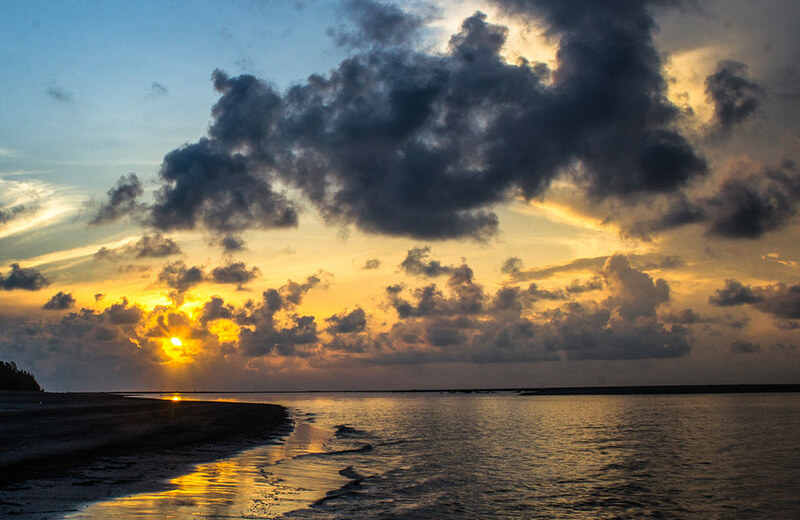 Most of these are beach spots near Kolkata thus ideal to spend the weekend with your family. The drive down is manageable and if you truly are in a relaxed mode then make use of the excellent bus and cab connectivity between these places and Kolkata.